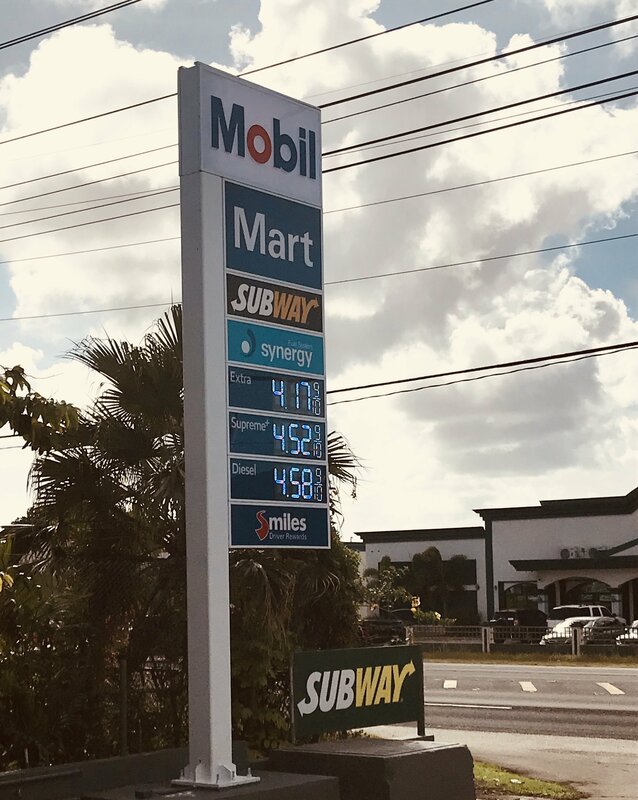 Pohnpei, Federated States of Micronesia, February 2, 2018 – Vital FSM Petroleum Corporation (FSMPC) announces to its valued customers a notice of potential increases in the wholesale price of gasoline, kerosene and diesel. 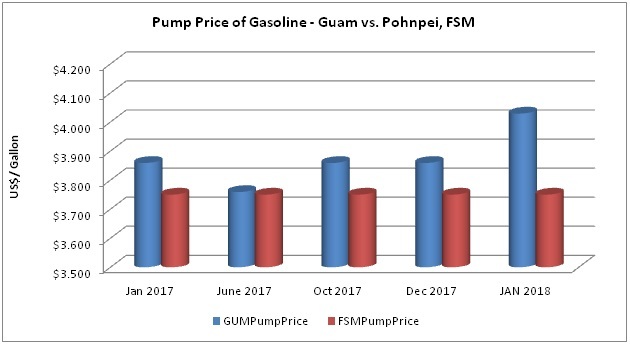 FSMPC’s pricing benchmark seeks to keep fuel prices in the FSM no higher than $0.35/gallon above those observed in Guam. The price stability mechanism within the pricing framework has seen fuel prices in Pohnpei and the FSM remain either on par, or lower than Guam for most of 2017 (See Figure 1). “While we are able to cushion consumers from short term price spikes, there have been month-on-month increases in the cost of importing fuel products since April 2017 (See Figure 2). Pump prices in Pohnpei remain at $3.75/gallon, making us lower than Guam’s price by at least $0.40/gallon. It is only a matter of time before we will have to pass on increases to the domestic market,” says CEO Mr. Jared Morris. “This is the first price increase to the authorized reseller channel by Management in over 24 months, and it is consistent with what the Board has observed in regional markets,” states FSMPC Chairman Mr. Faustino Yangmog. “While there is little we can do about the increasing cost of petroleum products, we continue to be aggressive in our approach towards initiatives such as Coconut-4-Life that aim to increase household incomes, as well as tactics to diversify our business over time to include offerings of lower cost renewable energy products,” Yangmog continues. Figure 2 - Singapore published Platts prices have increased by over 10% since April 2017. FSMPC Board and Management express thanks to policy makers, customers and the people of the FSM for their continued support.